Are you looking to motivate or reward your staff? Or build teamwork and communication within your department or organisation? All whilst having an awesome time together in a unique environment? Then you have come to the right place! 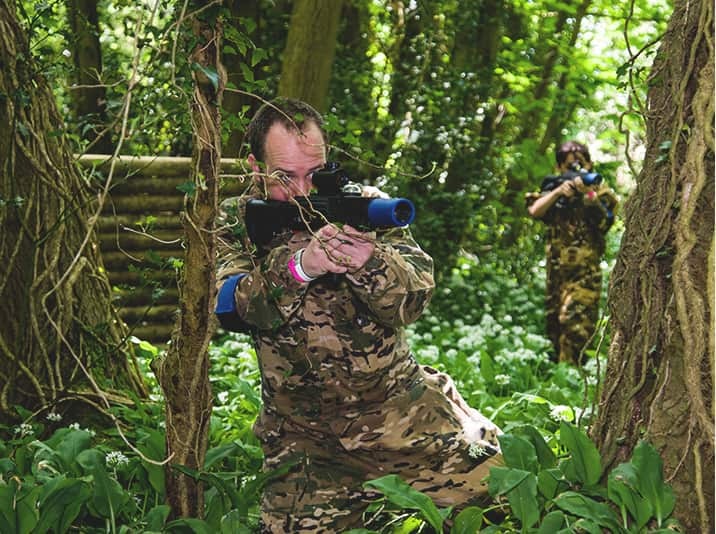 Conveniently located for London, GO Laser Tag London pride ourselves on running the best private Outdoor Laser Tag events for our corporate clients; professionally catering for companies and teams of 4 – 140 players per day. Fully inclusive. No minimum number of players. Fewer players? Even more games. Just like Paintball, Outdoor Laser Tag is an amazing activity to help build team unity, improve communication and teach people usable skills as they work together throughout a session, by completing challenges or achieving objectives as a team. Unlike Paintball however, Laser Tag is completely no-impact! What that means is that Laser Tag is so much more inclusive. Any more timid colleagues/employees who hate the idea of getting hit with a paintball can still fully embrace your work event, getting as stuck in as they would like, not spending the whole time hiding at the back of the game map out of the fear of getting ‘shot’! All of our midweek Corporate Laser Tag events at GO Laser Tag London are run as private events, with bespoke timings and dedicated Events Staff for you and your group. You can book your Laser Tag event over the phone or we can raise a VAT invoice to be paid via bank transfer, confirming your date. As we open up our venue/Laser Tag sessions specifically for each corporate group, your potential midweek date won’t show as ‘Available’ through our Check Dates page online.